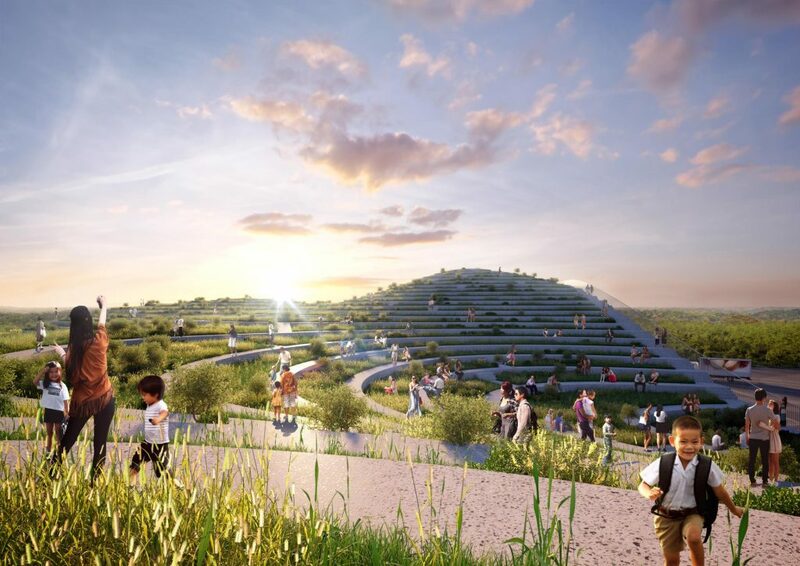 The group of architects MVRDV based in the Netherlands have dedicated their career to envisioning the city of the future. They keep coming up with pragmatic architectural solutions and manage to “vest” their buildings into green grass clothing at the same time. Let’s have a look at some of the most remarkable and verdant constructions curated by MVRDV group. This construction might resemble a convoluted maze at a first glance but the Dutch architects have made their utmost to design it with absolute precision. The Tainan market which is due to be built in late 2020 will rise up to 4 storeys and have space for a restaurant, an exhibition centre for local agricultural produce, and administrative offices. 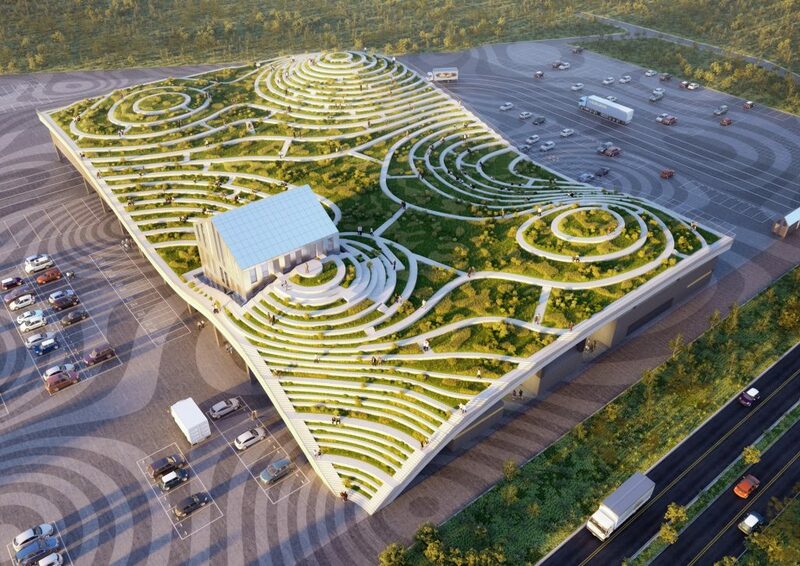 This place has all the rights to be branded unique, for it combines both marketing space and leisure spot: after shopping, the visitors will be able to take pleasure in a walk around the roof terraces covered by a “carpet” of diverse crops – rice, tea, pineapples etc. The Gangnam area of South Korea has been longing for an open space housing with a splendid view of the hills. This is where the work of creative architects reveals itself to be outright indispensable. Reconstruction of the landscape that would preserve the “green power” of the area as well as brighten up interminable dormitory areas cannot but be welcomed by the inhabitants of the district. 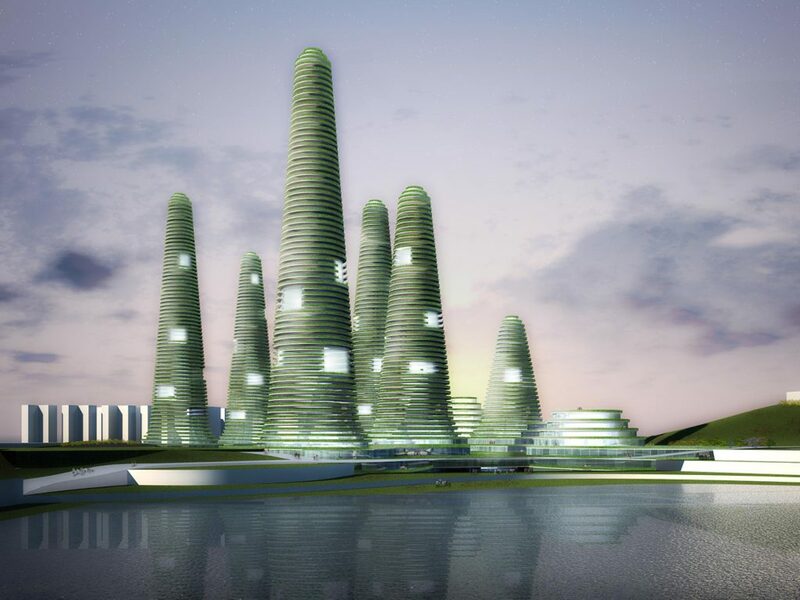 The Gangnam Hills project promises to be both futuristic and indigenous. The architects will strive to recreate the image of a Korean classical painting. They believe that clean volumes give it unity and character. Everyone aspiring to live close to a mountainous area and a big sprawling city at the same time will with no doubt opt for this great solution. If it looks to you like an alien base then you most likely came across the new ambitious construction designed by the MVRDV architectural group. The major antithesis of this project is the new approach to a power centre which would normally have nothing in common with nature. On the contrary, power centres are often hazardous spaces that endanger the nature and the wellbeing of people living close to the area. Yet the Daewoo Consortium will hopefully serve as a great dispelling of this entrenched belief. 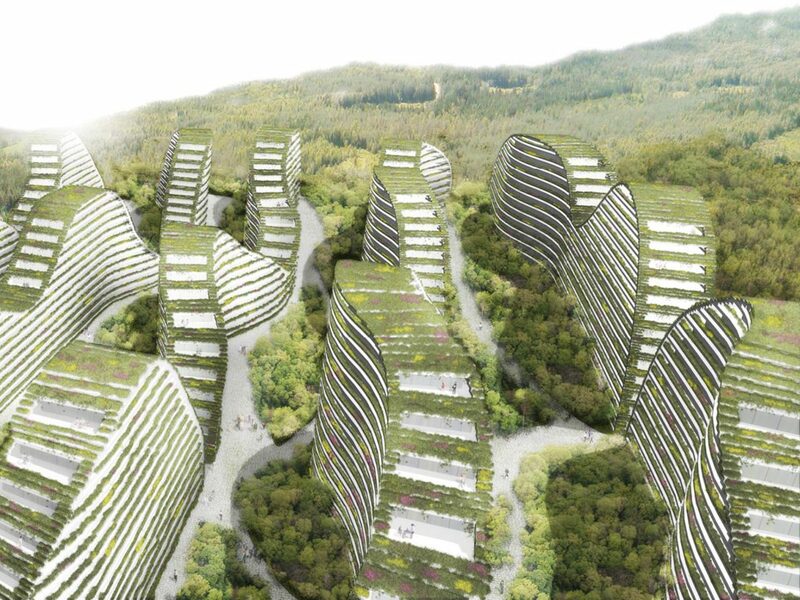 The cutting edge project for the future town called Gwanggyo located 35 km away from the Korean capital consists of a series of overgrown hill shaped buildings with great programmatic diversity and sustainable credential, aiming for high urban density so as to encourage further development around the so-called ‘Power Center’ of this new town.